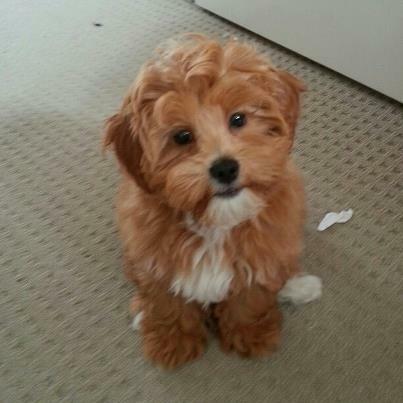 Max, our fuzz ball Shihpoo (cross between a Poodle and a Shih Tzu), turned 16 weeks this week. Last Saturday was his first day at puppy school. The instructor informed us he was a ‘people dog’ as he wanted to play with the other people there and was in the window of Best Friends playing it up for the people walking past the store, instead of playing with the other puppies. Lately, he found himself in the mirror, has started digging holes (it’s loads of fun apparently), helping Mum put up the Christmas tree, playing with tinsel and baubles and chewing on the tree branches is also fun for puppies. He is scared of Kitty, if she is in the way of where he wants to go he will start sooking for someone to pick him up or move the cat! 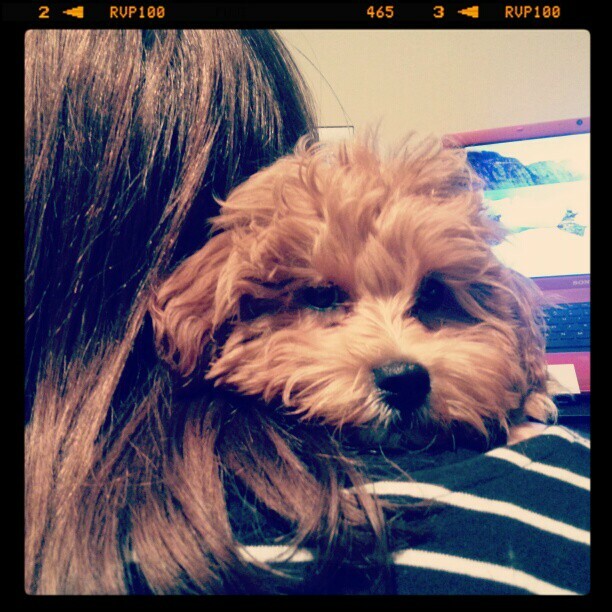 He loves cuddles and is a very sooky boy especially with Mum, who he loves to snuggle into her neck. He is just gorgeous and so good with the kids. The boys absolutely adore him, especially Mr 8. We couldn’t have asked for a better dog to fit in with our family. So, there’s my 16 week update on how Mr Max puppy is going. I hope you enjoyed it. Previous Post When does the hurt stop?